Seeing that it’s an anniversary month on my blog, I wanted to choose a special place to share with you for my Show Your World monthly link up and Regents Park seems to suit this requirement perfectly. My expat journey began 15 years ago in this park. I was enrolled to attend Business English courses, which took place in Regents University. A year later and I started a Business program in that same university, situated right inside the Inner Circle in Regents Park. To tell you that I liked my uni would be an understatement – I loved it! 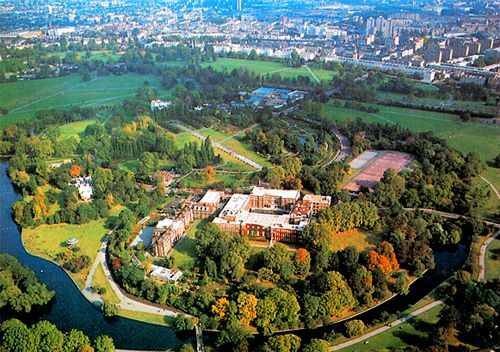 Imagine walking to your lectures through one of the most beautiful parks in London. That would surely lift your mood up, no matter what the weather’s like! Of course, Regents University (although, totally awesome) is not the only reason to visit Regents Park! I’ve already written here about Open Air Theatre, located within Inner Circle. If you have a free evening in London and the weather is nice, grab your chance to experience a magical evening of Shakespeare under the stars! Queen Mary’s rose garden and London Zoo are also located in Regents park – those deserve separate posts in their own right as there’s just too much to tell. Primrose Hill is situated in the Northern part of Regents Park. It’s one of the most popular picnic locations, meaning that this green hill is covered with multicoloured blankets all over, people soaking in the sun. You can actually see most of the central London from up there. Basically, for me, it combines good memories and beautiful scenery and I can totally recommend anyone coming to London to spare a day and explore this wonderful park! Don’t forget that you can link up your own story about your favourite place to this post and I will share it on my blog and social media! – instead of just giving us facts about this location, use your words to show it to us as well – the way it looks, sounds, smells, conveying its atmosphere; photos are always welcome! 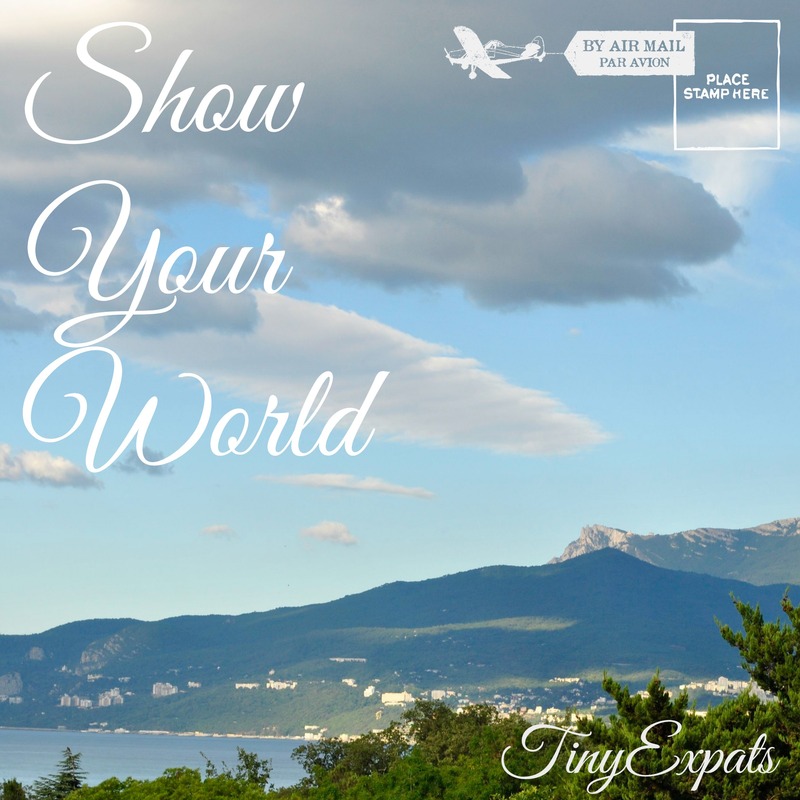 Visiting other participating blogs and leaving comments on them with #ShowYourWorld is highly appreciated, as well as sharing news about this link up on your blog and social media! Show Your World is a monthly event – I will publish my own story every 1st Friday of a month and everybody’s welcome to link up to this post. I would collect these links and post a round up on the 3rd Friday of a month, sharing all the links and short descriptions of submitted stories. I will also share the links and images on my Twitter, Instagram, Facebook and Pinterest (make sure you follow TinyExpats, so you will notice, when I do it!). I am also sending out notifications on Twitter on the day I post the prompt post, to which you can link, so if you want to receive such a notification – please, leave your username in the comments. Congrats on the year of publishing!! I’m still a couple months away from my first year. Is this share your world a new event you are creating, or is it linked to another site? I like the idea! I love Regent’s Park. The theatre is one of my favourite places, Shakespeare and Gilbert & Sullivan seem to be particularly suited to it. Yes, works this time :) Thank you! Visit Queen Mary’s Rose garden in its Inner Circle – beautiful! Thank you for contributing! A little late to this, but I didn’t realize you studied at Regents University! My boyfriend has events there a lot and I beg to go with him every single time because spending a weekend in Regent’s Park seems magical. What a great place to have those memories. I would as well :)) Yes, loved it there!